Before you read any further, I think it would be prudent to warn you that if you’re expecting the same sort of angst driven, laden down by darkness tales of teenage woe and adult misfortune that are part and parcel of the CW and Netflix’s Riverdale from Archie and Me, then you’re going to be greatly disappointed. 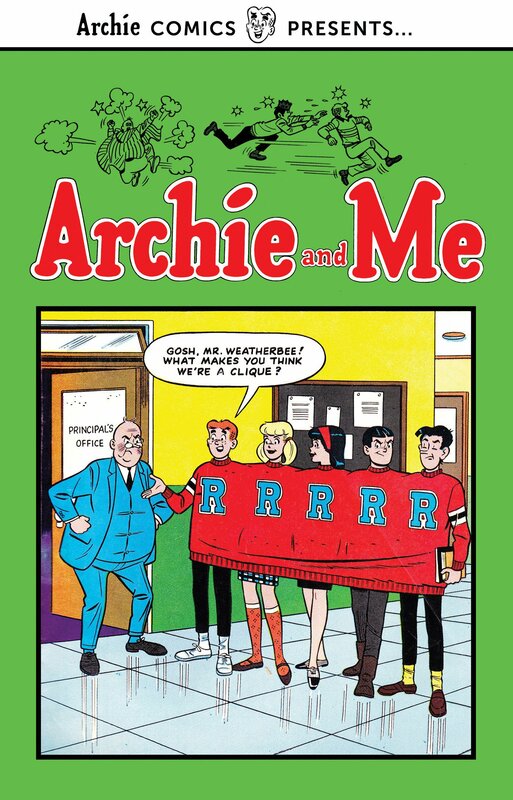 Drawn from the pre-millennial version of Arche Andrews, Archie and Me is the first volume of a collection of the many run-in’s between Principal Weatherbee and Riverdale High’s most famous red-headed student. 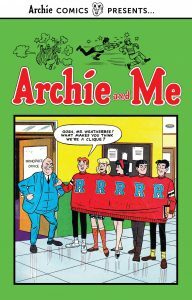 Compiled from the first four years (1964 to 1968) of the comic of the same name, Archie and Me is a book from a different and far more straight forward and simple time. Exploring the relationship that exists between the two characters, the antagonism born from frustration that Weatherbee (more commonly known as the ‘Bee) feels toward Archie and the genuine affection and respect that the latter has for the former, it plunges headlong into the characters endearing dynamic through a series of laugh out loud funny and all-too relatable stories in which Weatherbee’s and Archie’s paths cross, and clash, both in and outside of school.